Hey Dreamers! As many of you know, I am obsessed with Pretty Little Liars and used to write reviews on each episode. I would also find the exact outfits and accessories that the women on the show would wear. 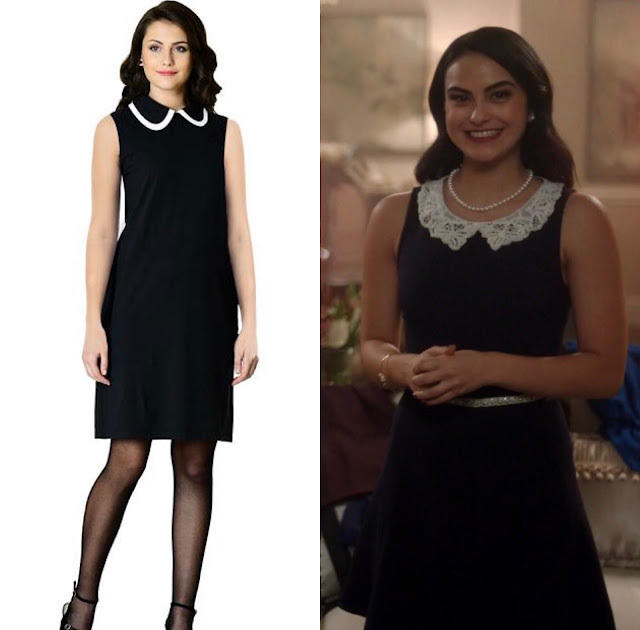 A new show that I am obsessed with is Riverdale, which includes a character named Veronica Lodge that wear outfits that I absolutely adore! As I did research to find Veronica's exact outfits and accessories, I discovered that many of the pieces would sell out quickly within a day or so after the episode's release. Luckily for you guys, I previously worked with a brand named eShakti, that are not only affordable, but they can tailor a piece to fit you perfectly. Not many online retailers offer this helpful option. But guess what?! eShakti has now extended their website to where you can actually design an outfit to your liking. So let's see if we can design Veronica inspired outfits on eShakti. In various episodes, Veronica has worn either a dress or top that includes lace detail such as the one pictured above. I thought I would try and re-create that look with this lace dress below. I have not seen Veronica wear a long lace dress, so I changed the length to "above knee" in the second image. Veronica often wears dresses and tops with white collars. I found this Contrast Collar Poplin Dress (which comes with pockets for those of you who love pockets) and decided to change the neckline to a peter style, as well as, change the sleeves to sleeveless. I also wanted to give you guys the option of wearing a dress that was a different material and didn't have the empire waist or pleating on the bottom. I found this Faux-Leather Trim Cotton Knit Shift Dress with a sporty-chic look. The dress originally has a spread neckline with long sleeves, so I changed the neckline to a peter pan neckline, as well as, changed the sleeve lengths. Veronica's wardrobe tends to lean toward darker colors. The formal dresses that she wears are typically low cut and she accessorizes them with a pearl necklace. I chose this Cotton Knit Fit And Flare dress with a low V-neckline, princess seamed bodice and full flared skirt. This dress also has side pockets. Once again, I wanted to give you guys another variation to a Veronica look. I chose this Pleated Cotton Jersey Knit Maxi dress because of the small, but deep jeweled neckline that is almost like a built-in necklace. I can see Veronica wearing the shortened version as an everyday school dress. Plus, I love that it has pockets! These are the Veronica inspired looks that I have chosen for you today. Thank you for taking the time to stop by and please let me know in the comments which look and dress is your favorite. Also, make sure to shop at eShakti.com for even more customizable pieces! 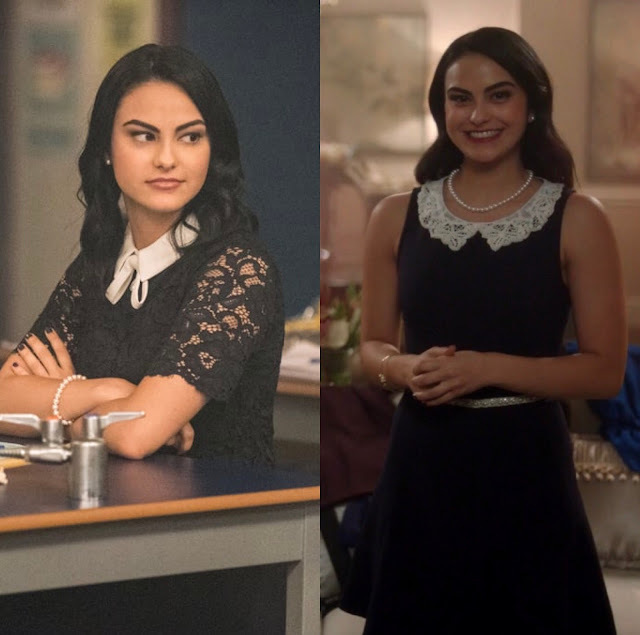 I love and loved all the black dresses of Veronica from Riverdale. Especially the third one, that look is really trendy.. So glad you liked it Monidipa! Thank you for stopping by! I love this show, her and her looks! I especially love the whole Wednesday Adams vibe! Yaaaas! I totally agree with you! I love her! My daughter is obsessed with Riverdale and has many of the store-bought Riverdale clothes. This post is the next level! 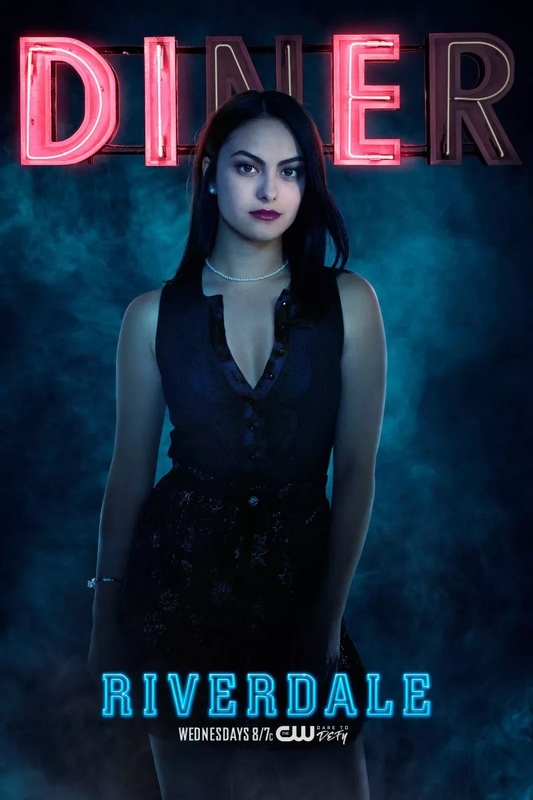 I love Veronica Lodge.. Oh so much, not her fashion at first just her for character, but now that i read this im starting to like her style too. I think her character is still developing, especially with what is coming in January! I am so excited! Thank you for stopping by Surekha. It is such a good show! It's on The CW if you are ever interested. Thank you for stopping by Rhian! At my age I could wear three of these dresses with sleeves and get away with it. Some were just to young looking for my age. I do still like all of them. Nice job! such pretty dresses, and you did a great job pairing them. Thank you so much Mary! I really appreciate it. How fun! My daughter likes Riverdale and she would enjoy this. I haven't seen the show but it's fun to see the fashion aspect of it. Oh it is such a great show! I especially love to see if I can re-create the outfits. Thank you for stopping by! Really love the black and white theme dresses. So elegant and never go wrong for any occasion. Very true! Thank you for stopping by! I've never seen Riverdale, but the looks this character wears are elegant. I love them all! Oh it is such a great show! So happy you love the pieces I put together. Thank you for stopping by! Collars, lace and pearls are a beautiful combination, so feminine. I like to dress them down though. You have certainly done your research as the dresses you have recommended as almost like what Veronica is wearing. Lovely! Thank you so much! I really wanted to get as close as possible to the original. Yessss! I can't wait for the episodes to start back up again Melissa! nailed it! looks just like the character on Riverdale! I love it! Ahh thank you so much Jasmine! I really wanted to get as close as possible to the original. I haven't seen the show but I'm loving all of these looks! The lace is my fave. The lace is for sure one of her popular looks! Thanks for stopping by! I feel like I'm the only person who doesn't watch Riverdale. I hear so much buzz about it and rave reviews about eShakti. It's okay if you don't there is still time! LOL But eShakti is for sure worth the hype. Love these looks. I may have to watch this show. Those looks are a perfect match of the gal above. I have a few pieces from eshakti too. Gotta love roni's enduring sense of style! Although we'll probably never know exactly what year it is in Riverdale, these pieces look great at any time. The lace dress is my fav! I am sure you would look amazing in the dresses! Thanks so much for stopping by! Such a LOOK! She is definitely giving me Wednesday Adams from the Adams Family! I never was heavy into wearing all black, but I’m starting to. It’s so chic and simple! I had never watched the show, but I’m a sucker for classic black and white. A white collar on a black dress is timeless. The dresses looks cute and preppy. I need to check this series and see their other outfits. What a fun way to wear what the stars are wearing. I still have to check out this show. I love me some lace! Thanks for sharing! I love all the looks!